Staying at one of the best family hotels near Disneyland will create lasting memories. Are you trying to plan the perfect vacation with your loved ones? 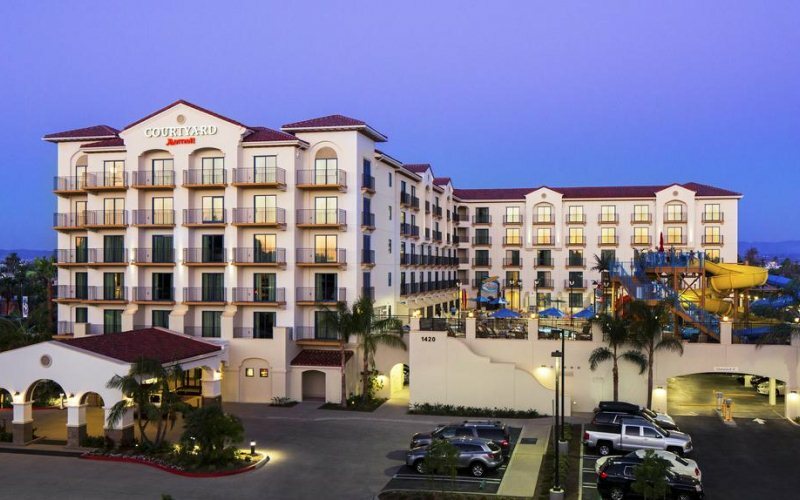 Looking for a great family hotel near Disneyland? Trips with kids often involve amusement parks, and what better place to go than Anaheim, California? Disneyland and Disney California Adventure are both within reach. So, without further ado, here are the best hotels near Disneyland for families. 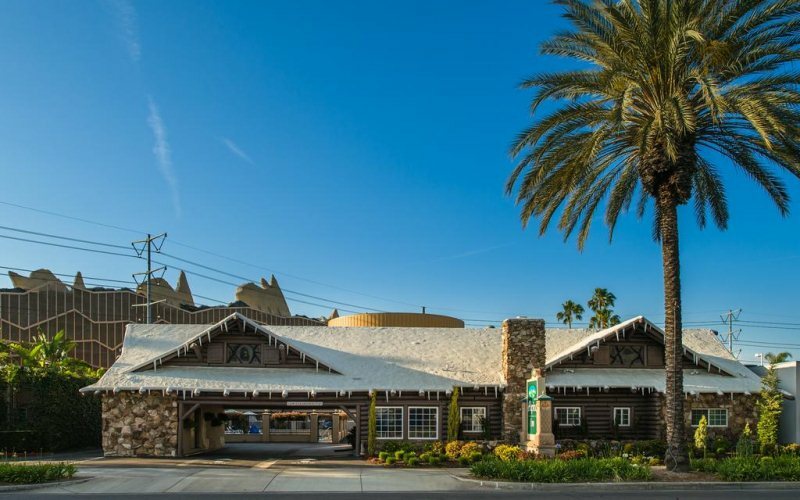 This simple yet friendly hotel is only one mile away from Disneyland, making the commute to and from the park a breeze. Start your day off right with a fresh, daily continental breakfast. After a long day of rides and fun, cool off in the hotel’s outdoor heated swimming pool. Have some business to attend to for work? No problem! Alpine Inn offers a business center for guests to use at any time. Best Western is a terrific hotel for families, as it is a five minute walk to Disneyland. A shared terrace at the hotel provides a great view of the fireworks that are set off at the park each night. Want to spend a day doing something a little more organic? Knott’s Berry Farm is a ten minute drive from this quaint hotel. This rustic looking establishment is a fun little vacation all on its own! It features an indoor water park, complete with sixteen rides and water slides that connect to a heated pool. Feeling famished? 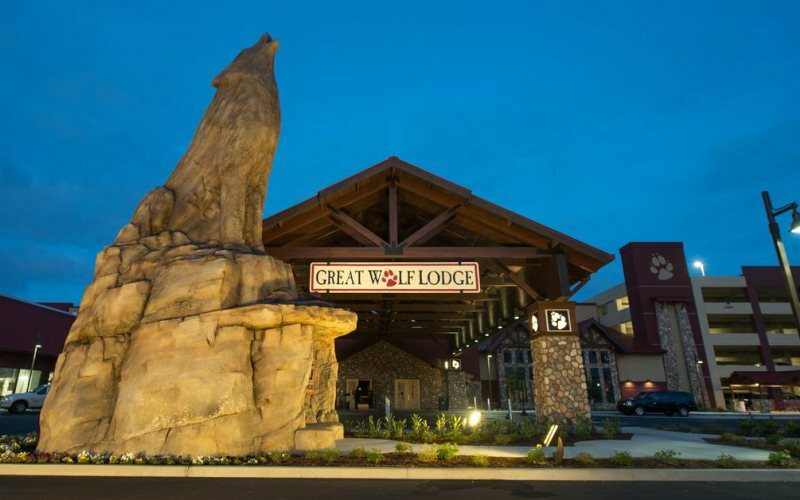 The Great Wolf Lodge has five restaurants on location. With Disney California Adventure just two miles away, this location is hard to beat! Do you have a child who likes to pretend they are a knight or a princess? Then they’ll definitely love this castle inspired hotel! 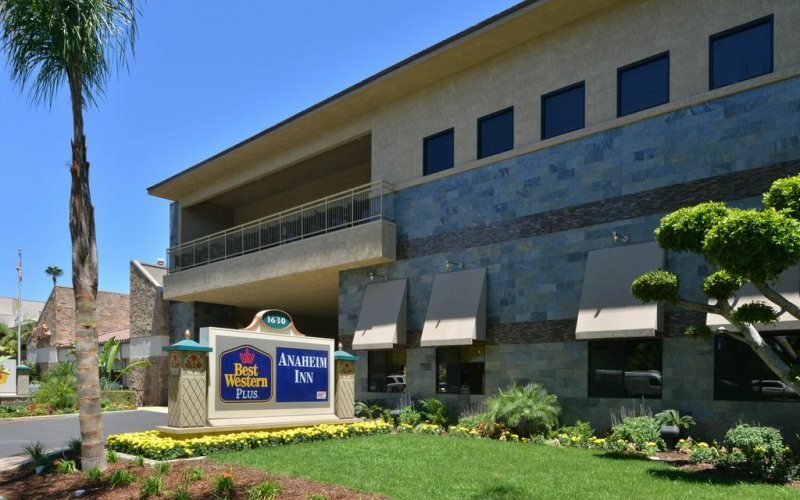 Located right across the street from Disneyland, you’ll never have to worry about parking. 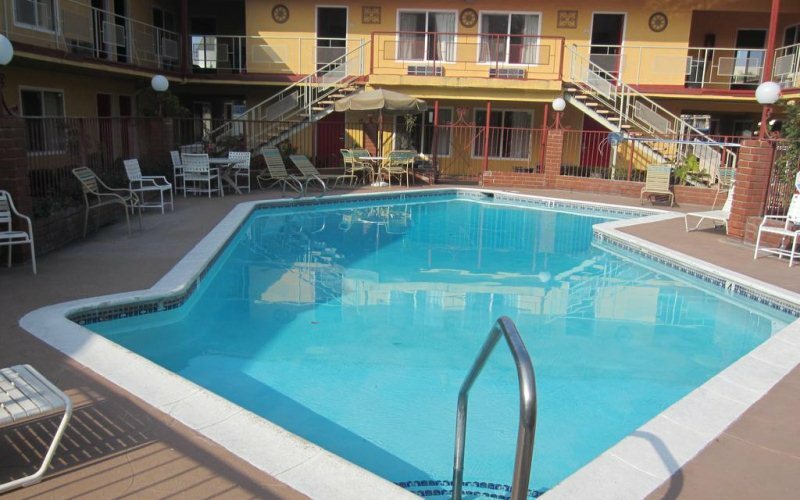 Castle Inn has a heated outdoor pool, a hot tub, and a pool exclusively dedicated to children. Angel Stadium is also two miles away if you and your loved ones enjoy baseball. Hands down, the Castle Inn is one of the best family hotels near Disneyland. Americas Best Value Inn is—you guessed it---a great value. 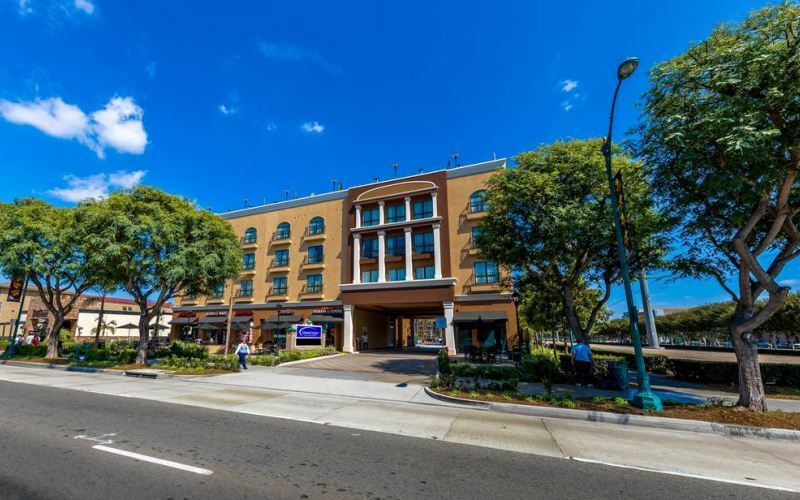 This homey hotel is steps away from the Anaheim Garden Walk, where visitors can explore a myriad of restaurants, shops and more. Cool off from the intense heat in their outdoor swimming pool. And whenever your family wants to spend the day at Disneyland, the front desk has discounted tickets each and every day! This expansive hotel is terrific fun for the whole family. The Courtyard features a private water park, complete with six water slides and multiple pools. Want to spend a day or two away from the chaos of Disneyland? Newport Beach is a mere twenty-five minute drive away from the hotel. So, no matter what you and your family want to do, Courtyard is sure to have it! Located right next to California Adventure and just one mile from Disneyland, Portofino is perfectly located for an action-packed vacation. The hotel provides a large gym on site for fitness junkie in your family. The Anaheim Convention Center is only a five minute walk as well, and always has interesting events going on, so be sure to check it out. This grand hotel will make you feel like you’re in a tropical paradise! Grab a craft beer or a signature cocktail at The Fifth, Anaheim’s only rooftop lounge, located at the top of the Grand Legacy. 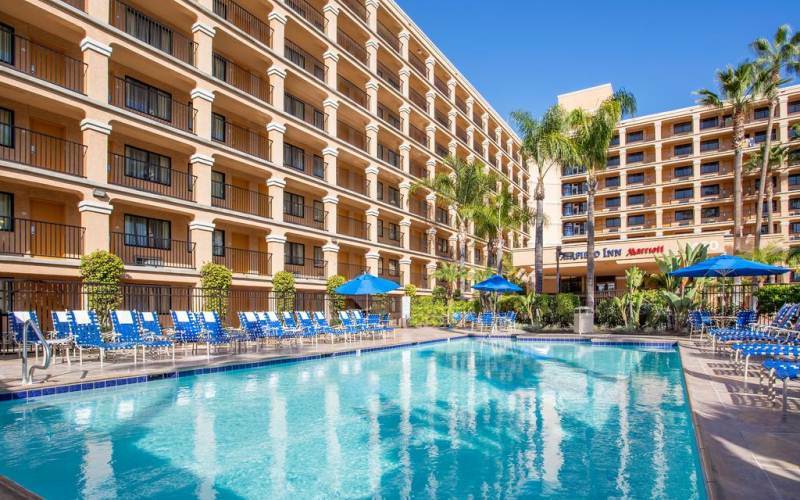 Take a relaxing dip by the heated outdoor pool before or after your excursion to Disneyland—which is located less than two thousand feet away. Located less than a nine minute walk from Disneyland Resort, making it an easy trip back and forth. 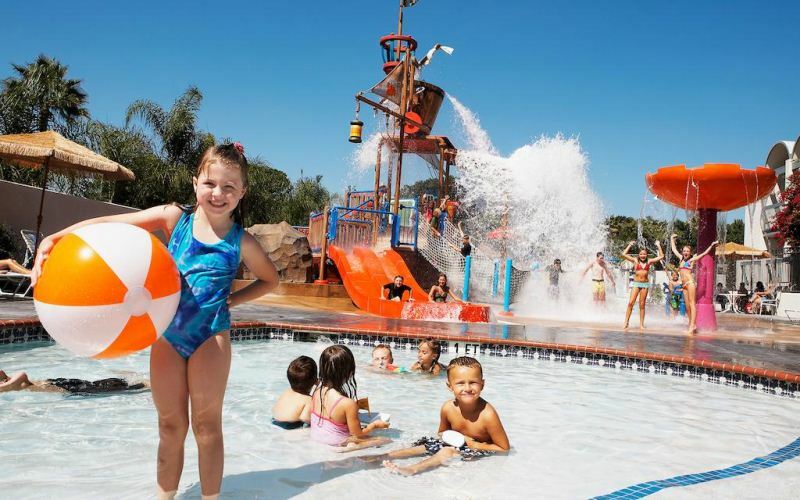 Newport Beach is only thirteen miles away, but as the hotel features an elaborate water park for children, complete with a thirty foot pirate ship, there’s a high possibility you’ll never want to leave the resort! Want to fully immerse yourself in a full Disney experience? Then the Fairfield Inn is the place for you! 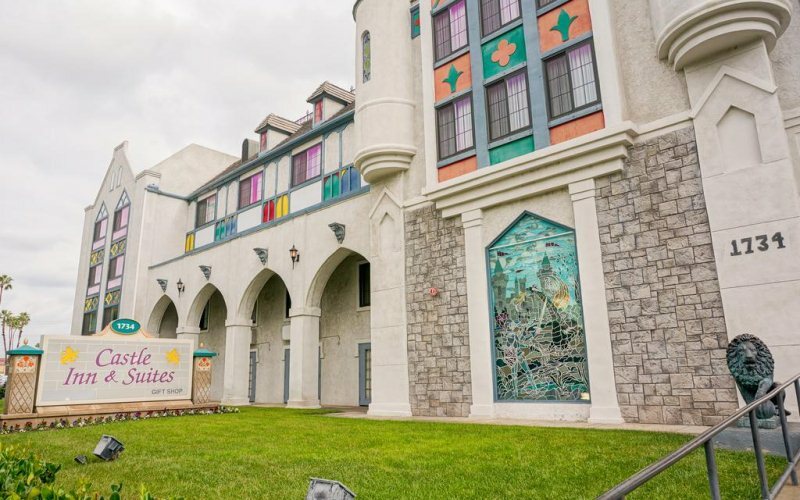 This massive hotel has Disney-themed rooms for a truly festive air. Fairfield features an outdoor swimming pool as well as a game room, full of video games. And it is located just three miles from the Honda Center as well as Angel Stadium, so there is always plenty to do.